Well it had to happen at some stage, didn't it? The Last Of Us had reigned supreme for the last five weeks in a row at the top of the UK video games retail sales chart. The big surprise isn't that its unbroken run has been ended, but that a new release wasn't responsible for it. 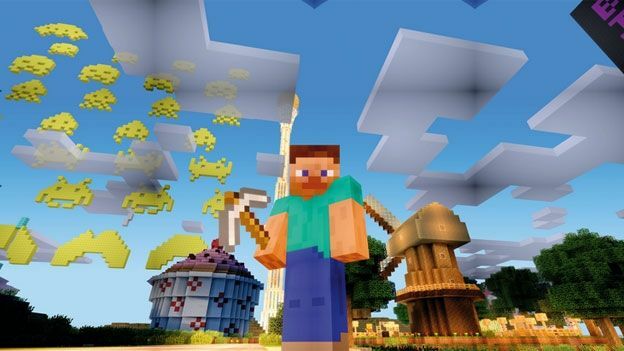 Minecraft: Xbox 360 Edition proved more popular with punters in the last week than Naughty Dog's post-apocalyptic survival horror game, which slipped two places to third. This week's biggest new game was the family-friendly Nintendo Wii U exclusive, Pikmin 3, which debuted in second place. The other Nintendo release this week, New Super Luigi U, didn't manage to crack the top ten, landing in 13th position.